ZTE has a number of smartphones available in the ZTE Blade series with some of them having top-end specifications but most of them comes with mid-range specifications. 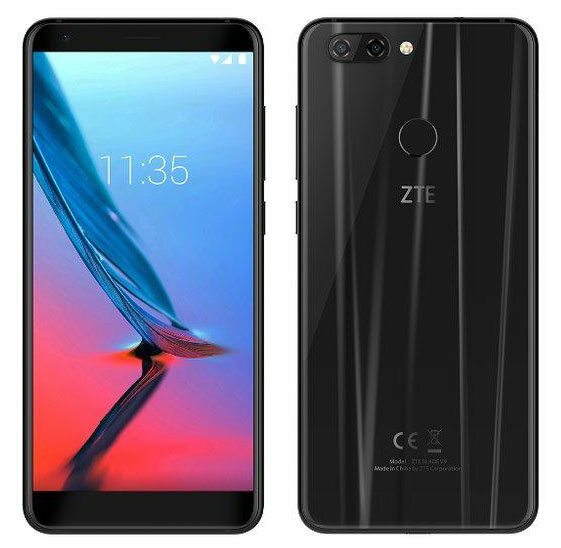 The company is all set to launch another smartphone in the ZTE Blade V series called the ZTE Blade V9 that will be then successor to the ZTE Blade V8 that was launched earlier this year in January with mid-range specifications including the Snapdragon 435 processor. The ZTE Blade V9 was spotted listed at ZTE Spain official website but was removed as soon it was cached by some online tech websites. The listing confirmed most of the device specifications and has also leaked out the images of the device. 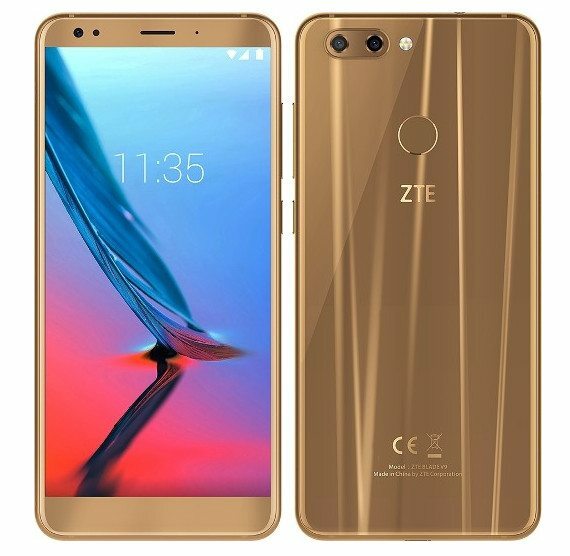 According to the official device listing on ZTE Spain website, the new ZTE Blade V9 will have Black and Gold color options and will feature a 5.7-inch 18:9 2.5D curved glass display with 2160 x 1080 pixels resolution. It will be powered by the 1.8GHz octa-core Snapdragon 450 14nm Mobile Platform with Adreno 506 GPU. It will have two variants with one having 2GB of RAM + 16GB of inbuilt storage capacity while the second one having 3GB of RAM + 32GB of inbuilt storage capacity and the high-end device carrying 4GB of RAM + 64GB of inbuilt storage capacity. The device supports expandable storage up to 256GB with microSD card. It will run on the Android 8.0 (Oreo) OS out of the box and will support Hybrid Dual SIMs. It features a dual rear camera with a 16-megapixel rear camera with LED flash, f/2.0 aperture, PDAF along with a secondary 5-megapixel camera with f/1.8 aperture and 1.12μm. pixel size. It also comes with a 13-megapixel front-facing camera. It will be backed up by a 3200mAh built-in battery and will carry connectivity options including the 4G VoLTE, Wi-Fi 802.11 ac, Bluetooth 4.2, GPS + GLONASS, NFC and a 3.5mm audio jack along with DTS audio for audio enhancement. It comes with a fingerprint sensor on the rear side. It measures 151.4 x 70.6 x 7.5mm and weights 140 grams.